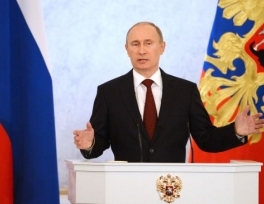 A recent opinion poll has revealed that more than half of Russian nationals support President Vladimir Putin. According to the survey conducted between December 24 and 26 last year by the Russian non-governmental polling and sociological research organization Levada-Center with a sampling of 1,603 Russian adults, the findings of which were released on January 27, 56 percent of the respondents said they are opposed to Putin’s resignation. Twenty-six percent of those surveyed said they want the 61-year-old president to leave office, while 18% had no idea. On December 28, 2013, Levada agency found that Russians have chosen Putin as the Man of the Year in 2013 for the sixth consecutive year. Twenty-six percent of the respondents chose Putin, and seven percent picked Russian Defense Minister Sergei Shoigu. Russian Prime Minister Dmitry Medvedev and US whistleblower and former National Security Agency (NSA) contractor Edward Snowden gained 4 percent each. Moreover, Mikhail Khodorkovsky, a former Russian oil tycoon, who has recently been pardoned by Putin, got three percent of the votes. 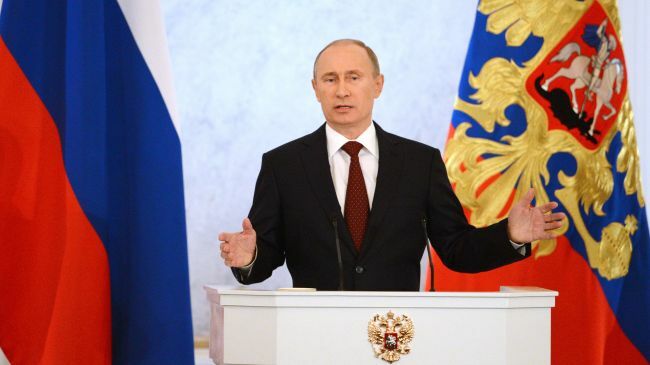 On December 3, 2013, Levada said 61 percent of the respondents voiced approval for Putin’s performance in November 2013, down from 64 percent in October. Putin won a third six-year term in March 2012 after a stint as prime minister. He remains Russia’s most popular politician and has not ruled out seeking another six-year term in 2018.